I have been utilizing this service for years, and have found the owner to be very professional, honest, accurate and friendly. His products are excellent, and the installation is always quick and on time. Everything he has sold and installed has passed the test of time. Also, I have found his pricing to be very reasonable. I've used Jon for several residential properties and my office space as well. He always does very professional and affordable work. I would recommend him to anyone. Honest guy and does a great job. I have used Blind Buddy for the past 5 years throughout our home. Jon the owner does all of the measuring and installing. He is honest and trustworthy. The product is excellent and the installation is flawless. I have recommended him to many friends and family members and everyone is very happy. To complete our home addition, I wanted quality blinds. That's exactly what I received when I used Jon. He knew what we needed in each room and made suggestions regarding color, style, and type. He installed them perfectly and we have had no issues with them. 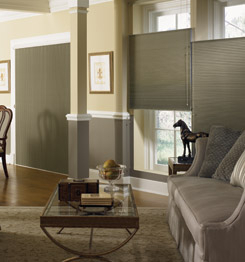 When I needed new blinds for the living room, I didn't hesitate to contact Jon again. I would recommend him to anyone needing blinds. We used Jon last year when we bought our home. His prices were way cheaper than when we went to some of the window treatment places on the North Shore. We were extremely happy with the solutions he came up with for our home, but more importantly the level of service Jon provided. Would use him again, and definitely recommend him.